This course is available to unemployed individuals under the WCD Employment Mediation Action and encourages individuals to consider retraining and up skilling to help them become more jobs ready and qualified for vacancies in the Telesales, Customer Care and Call Centre Sectors where there is considerable growth and opportunity. Eligibility criteria: Individuals (18 years +) who are unemployed and interested in securing work in the call centre, customer care sector. Educational level: Leaving Certificate or equivalent or individuals with prior experience or learning in this area e.g. customer care, reception, telesales etc. A good knowledge and practical IT and communication skills required for this industry and entry to training course. Completion of the course will provide learners with the skills and confidence to seek employment in a customer service/call centre environment. Participating on this course will not affect your Social Welfare entitlements. 100% attendance required for duration of course. This course is being run in conjunction with Mullingar Chamber of Commerce, and is being funded under the Local and Community Development Programme. .
tmckenna@westcd.ie on or before Friday 28th September. The purpose of this initiative is to support groups and organisations to develop life long, learning projects for the purpose of identifying & creating education and training opportunities for young people who left school at an early age. The GRANT age group is 16-25 only. 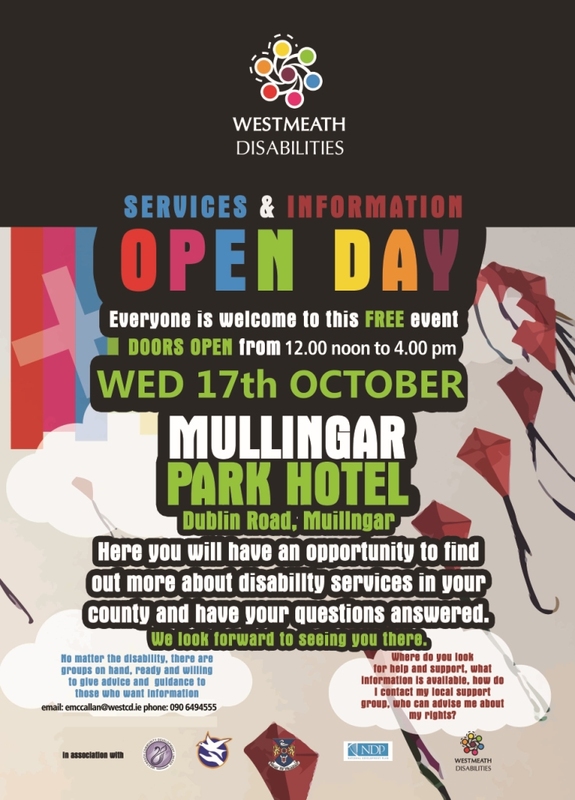 Westmeath Community Development are pleased to announce their Disability Working Group are organising its fifth Information and Services Day on Wednesday 17th October 2012 from 12.00 – 4.00pm in the Mullingar Park Hotel, Mullingar Co. Westmeath. The purpose of this is to bring service providers and service users together in an informal setting to help with obtaining information and possible supports. See below a link to a booking booking form should your organisation wish to have a stand. 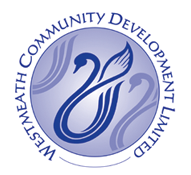 Westmeath Community Development invite applications from new or existing Community Groups providing Community Based After School Services for Post Primary Students from September 2012, as part of our Local and Community Development Programme 2012 Annual Plan. Project must be serving young people in one or more of the 23 disadvantaged designated areas covered by the LCDP. Closing date for receipt of signed applications has been extended to Friday, August 31st. 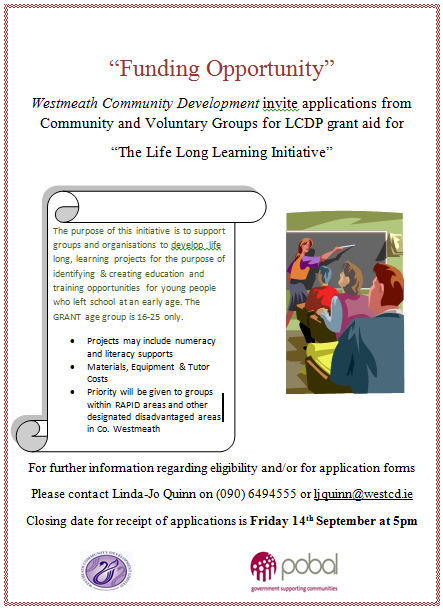 For further information contact ljquinn@westcd.ie or fmurtagh@westcd.ie.